Achieving consistent planogram compliance across chains and stores is the dream of all brand and category managers. However, the reality is that it is almost impossible to reach full planogram compliance unless there is a centrally, well managed retail audit operation and the only way to achieve that is through mobile technology. Retail audit applications provide a sure way to implement effective planogram compliance operations. With a retail audit application, brand and category managers are able to set up country-wide, or even worldwide, retail audit operations right from their offices. Form customization and the ability to capture photos and signatures in addition to text, numbers, and selections. Real-time access to incoming data, with total elimination of data transcription. Protection against fraudulent check-ins through GPS visit verification. Identification of individual or chain store distribution lists and planograms, leading to fewer auditing mistakes when selecting products. Setup of mandatory tasks for each location. Visit scheduling, planning, and routing capabilities. VisitBasis retail audit application makes it easy and straightforward to manage centralized planogram compliance activities. VisitBasis runs in the Cloud, assuring that retail data is accessible to managers at any time, from anywhere. It works on common Android and iOS tablets and smartphones, allowing BYOD (Bring Your Own Device) implementation to reduce hardware costs to businesses. VisitBasis retail audit application is easy to deploy – and you can start up completely free! Just register for a free trial at www.visitbasis.com and download the free VisitBasis app from Google Play or App Store. 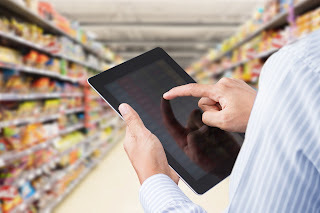 One of the biggest issues merchandising agencies, CPG manufacturers, and retailers face is the fraudulent check-ins of merchandisers and auditors. Fraudulent check-ins, besides being unethical, can lead to a host of issues for businesses. Out all of them, fraudulent check-ins are especially detrimental due to the consequential overlooking of mission-critical issues such as out-of-stocks, hazardous displays, or damaged shipments. In a day and age when losing a sale can mean losing a customer (or customers!) to online shopping, brick-and-mortar retail operations cannot afford such oversight. But how to prevent or even eliminate fraudulent check-ins of merchandisers and reps? Mobile software for merchandising is the answer for that. To schedule a live online demo with one of our team members, go to meetme.so/visitbasis. For more information and to sign up for a VisitBasis free trial, go to www.visitbasis.com.